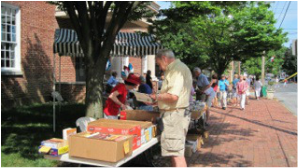 NCLF holds an annual book sale on the second Saturday in June, in conjunction with Historic New Castle's Separation Day Celebration. Volunteers are needed to organize materials, help with set-up and tear-down, and cashier. If you are interested in being a volunteer, please contact us at nclibraryfriends@gmail.com. NCLF, in collaboration with Literacy Delaware, a non-profit organization, sponsors a literacy initiative and is looking for volunteers interested in tutoring adults with low literacy or English language skills. For over 33 years, Literacy Delaware has provided free tutoring services to adults in New Castle County. They currently have a waiting list of more than 35 people anxious to learn to read, or write, or to learn basic English language skills. 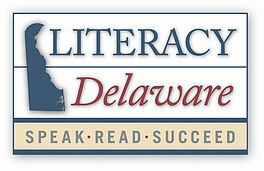 Literacy Delaware will provide the training, pair the tutors with the learners, assess the learners before and after 60 hours of instruction, and provide curriculum, resources and support. Tutors meet with a learner(s) at a time and place convenient to them both, generally the library. If you are interested in being a volunteer tutor, please contact us at nclibraryfriends@gmail.com. For more information, contact Julie Kirk at 302.328.1995 or ​julie.kirk@lib.del.us.